The huge castle in the forest, which is located in Sant'Agostino's brother. This building is best known in Latin America. 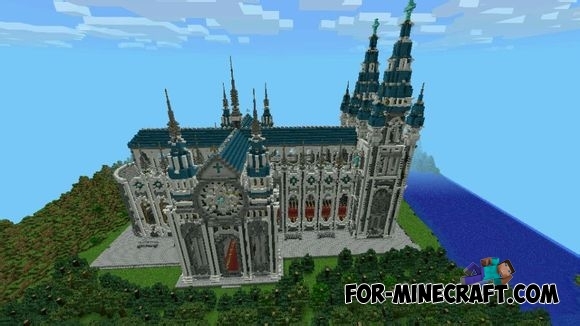 Big Cathedral map for Minecraft PE 0.10.5 / 0.11.0Undoubtedly, This map is inspired by the Cathedral of St. Vitus in Prague.